You’ve probably been told that you can’t sell your house in its state. You are busy going up and down to find cash to renovate your house before you can land a worthy buyer. While that is very true in the conventional market, there are plenty of options when it comes to selling unappealing houses. One of the best ways is to sell to a cash buyer. We provide quick solutions to San Antonio home sellers by letting them sell their homes to us in whichever state. If you are one of those with homes that have been rejected by buyers and real estate agents, we are ready to buy it at its market value. There are many reasons as to why your house may be unappealing to buyers. Here are just but a few. If you have been living in your house for a long time without paying utility bills or the land rates, very few buyers will be interested in buying your house. In this case, the real estate agents will ask you to take care of the bills before they can list your house for sale. On the contrary, we do not care about such things. We buy the house at its price. We may calculate the value of your rates and deduct from the final payment. We do all the calculations with you and ensure that we only give you an offer that is reasonable and acceptable to all the available parties. So, why struggle with your house when you could get cash for it in a very short time? Give us a call and let us start the process of converting your house into cash. For us, it does not matter how old your house is or how damaged it is. To some people, a house that has not been used for a few years is very unappealing. On the contrary, we see a house that is worthy of its market price. Sell your house for cash even if it has leaking roofs, broken windows cracking walls or any other form of damage. Even if your house was damaged by water or it looks like a swimming pool on the inside. All you need to do is give us a call so that we may assess the house and determine what is its market value. We offer our clients very reasonable prices and give them time to decide. Once you give us the go-ahead to process the house transfer, we may be done in a time as a short time as seven days. You do not have to stay with your house when it can easily be turned into cash, let us have a look at it and give you an offer. 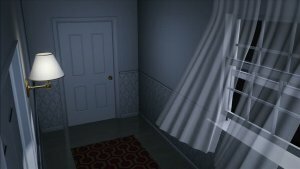 Do you believe your house is haunted? Well, there are cases where people believe their homes are haunted by ghosts. 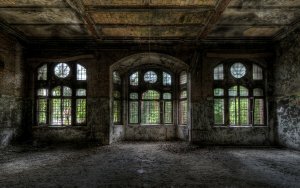 Buyers are scared off by ghost stories and no one wants to buy your house no matter how beautiful you redesign it. If you have such a house, we are here to ease the burden from your hands. We are ready to help you sell your house for instant cash. We are willing to take an assessment of your house and give you the best cash offer you can receive. It does not matter to us how long your house has been unoccupied. We guarantee you cash for any house even if you have been unable to sell it for ten years. For as long as you live in San Antoni, give us a call and let us take care of your house-selling business. Most house buyers have the tendency of associating burned houses with bad luck. When your house is burned down, you may be unable to take care of the repair costs and find it frustrating to sell. Most real estate agents will ask you to repair the house before it gets listed or they may choose to repair it for you at an extremely high cost. When you come to us, you do not have to worry about the look of the house. Even if the house has been burned beyond repair, we are still willing to give you an offer that is worthy. We will calculate with you the market value of the house and give you an offer. We will take care of all the other matters from this point. All you have to do is wait for your cash once the transfer processes are done. Why wait! give us a call and convert your house to cash today. Do you have unpaid mortgages and your home is about to be repossessed? Chances are, you are less likely to find a willing buyer at this stage. The process of refinancing your house loan through banks may take ages. However, with our quick solution, you can receive instant cash on your home and move on to buy another house somewhere else. 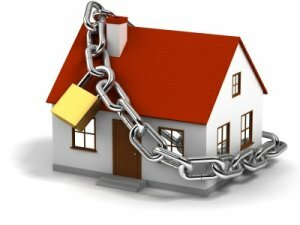 We buy homes that are due for repossession as long as you call us in advance. We will ensure that you do not get thrown out of your house empty-handed. Our team takes such matters seriously and works around the clock to ensure that the selling process complete in the shortest time possible. We guarantee you cash for your house at its market value. Why Do You Need To Sell To Us? You have plenty of options when you want to sell your house. However, in some cases, everybody turns their backs against you when your house is in a certain state. It may be due to damages, perceptions, bills or any other reason. Whichever the reason, we believe your house is worth money. This is the reason why we find it reasonable to give you a worthy instant cash offer and remain behind dealing with your house issues. We seriously consider the current market price when buying your home. While we may not give you a full market price for your home, we only deduct the extra charges we may incur in repairs or paying your bills. We ensure that as a homeowner, you get exactly what you deserve. Call us now at (210) 547-7505 o get your all cash offer today!